Have you heard, Metro EDGE is turning 7 years old, and they’ve got a lot to celebrate! The young professional organization will take a ride down memory lane at the California State Railroad Museum to recap key throwback moments in EDGE history — and we’ve got tickets for you to join! If you’d like to enjoy music, food, a no-host bar and great networking, simply be the first to answer any one of the questions below (your choice) and you could be having a blast with the best and brightest young professionals in the region. On 9/16, Metro EDGE celebrated 5 years of young professional leadership. 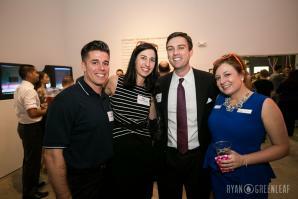 Members and guests gathered at Verge Center for the Arts and enjoyed music, networking, delicious bites and cocktails.